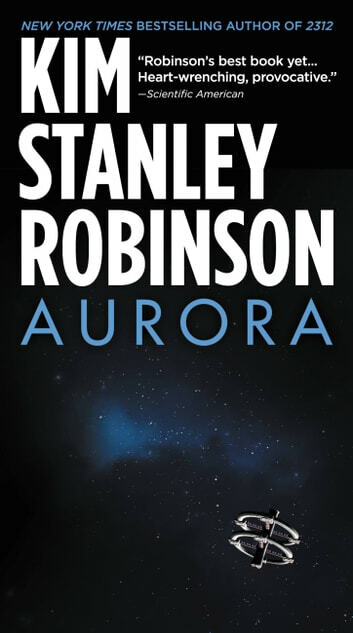 From one of science fiction's most powerful voices, Aurora tells the incredible story of our first voyage beyond the solar system. This was a book that I enjoyed, but can't somehow get my head around. Some interesting sub-zero about Artificial Intelligence, consciousness, and self consciousness. Interesting in places. But overly long to sustain the characters. Plot ignores the fate of half the settlers. KSR uses the language of decisions in an adventure to build a consiousness and adventure to find freedome for his heiroine. A hard scifi book that doesnt bore you with techical details. The details are enough to provide verisimilitude. An interesting take on the challenges of interstellar travel and colonization with distinct characters you can care about. Not that shaggy dog stories are a bad thing. In fact they are very engaging when told well, and KSR does yet another great job with Aurora. He creates an amazingly plausible environment and immerses you in it, then takes you along for the ride. But don't get hung up looking for a beginning, middle, and end to this story.